A great gift for anyone with a birthday! 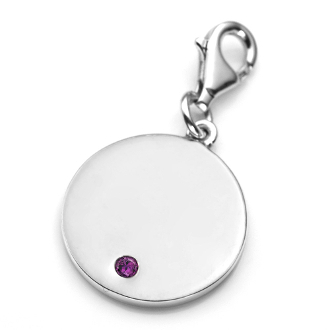 The crystal is visible on both sides of the sterling silver charm. A crystal for each month of thr year. Lobster clasp is sterling silver. Bracelets are available for purchase separately.